This device expands your home wireless coverage, so you can eliminate dead zones. If you have spotty wireless coverage in your home, a WiFi extender might be just what you need. Read on to find out about this type of device, how it works, and whether a desktop or plug-in WiFi extender could be best for you. 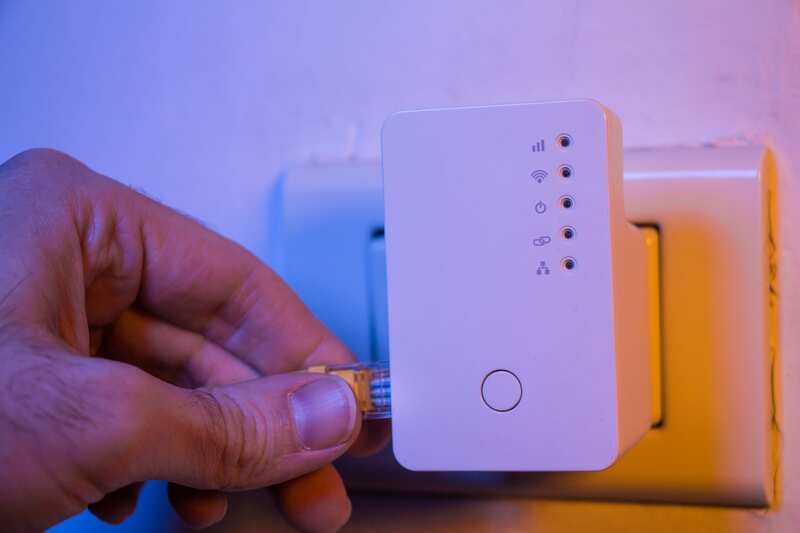 A WiFi extender is a plug-in or desktop device that connects to an existing WiFi network, then boosts the current signal to increase the wireless network's coverage area. A WiFi extender is a device that improves the coverage area within a wireless network. A wireless range extender picks up your existing WiFi at a location that provides a good connection. Then it rebroadcasts its own signal, and therefore improves the quality and speed of WiFi connections in its range. Keep in mind that a WiFi extender can't make your network reach much beyond the existing coverage area. You'll find a wide variety of price points when searching for a good WiFi extender. Plug-in models are on the cheaper end of the spectrum and usually go straight into a wall outlet. They're easy to install but constrained by size and weight, so don't expect them to be packed with features. Desktop models don't have those same limits, and they can offer better antenna placement and internal hardware. SEE ALSO: How Do I Find the Best WiFi Extender for Me? Though each of these can work in different ways, most retailers seem to use the terms interchangeably. In fact, there doesn't seem to be a solid definition for a WiFi booster, and WiFi repeaters and extenders tend to be synonymous. Some guides even assert that these devices are all the same thing.